Freighter: Built in 1918 by the Standard Shipbuilding Corp., New York, NY; Acquired by the Navy 18 October 1918 and commissioned the same day; Decommissioned, 13 June 1919 and returned to the United States Shipping Board; Scrapped 4 January 1936. Specifications: Displacement 10,562 t.; Length 392'; Beam 52'; Draft 23' 8"; Speed 9.5 kts. ; Complement 70; Armament one 4" and one 3". 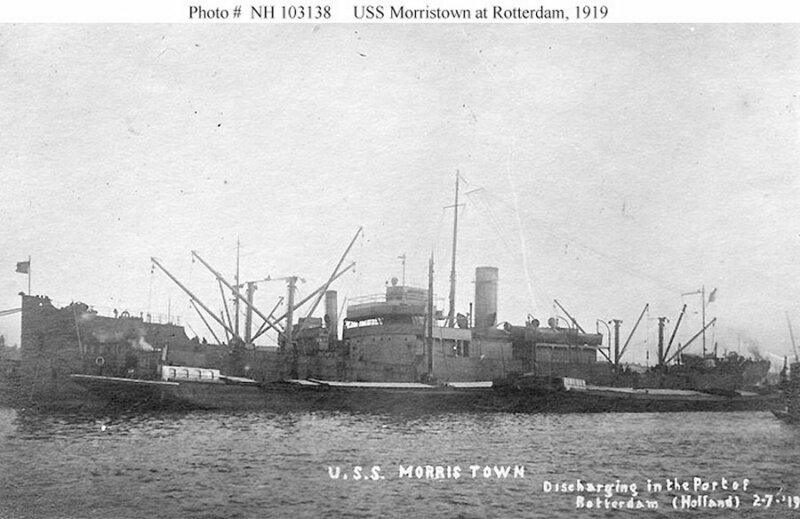 106k Discharging cargo at Rotterdam, The Netherlands, 7 February 1919.